Kelli Skye Fadroski has a great article in The Orange County Register on composer Danny Elfman. Check out her story here, which offers a great preview of "Danny Elfman's Music From the Films of Tim Burton" coming to Nokia Theatre in Los Angeles tonight and to the Honda Center in Anaheim on Sunday (Nov. 2). In other news, I received a media release early today that Austin City Limits (ACL) is set to present an electrifying hour with Nick Cave & The Bad Seeds, one of the most exhilarating live acts in music. The noir-rock outfit make their ACL debut in an hourlong performance with a memorable career-wide set powered by dark songs of love, death, God and fate. The episode premieres Saturday, November 1, 2014 at 9 p.m. ET/8 p.m. CT as part of ACL's milestone Season 40. ACL airs weekly on PBS stations nationwide (check local listings for times) and full episodes are made available online for a limited time at http://video.pbs.org/program/austin-city-limits/ immediately following the initial broadcast. The show's official hashtag is #acltv40. Nick Cave is one of contemporary music’s most powerful personalities, and the Australian-born iconoclast takes the ACL stage with his longtime band for an unforgettable appearance. The masterful nine-song set features highlights from their 30-year career, spanning the 1984 debut to 2013's universally-acclaimed Push the Sky Away, their fifteenth studio album. The black-clad Cave stalks the ACL stage with primal energy and explores the thin line between light and darkness with selections from his fire-and-brimstone universe, spouting scripture-scaled narratives and anti-anthems from his rogue's gallery of characters. “Tupelo”, a twisted take on the mythos surrounding Elvis Presley, has the singer-songwriter ranting like an evangelist fallen from grace and intent on clawing his way back. Cave looks directly into the heart of darkness with a piano-based rendition of “The Mercy Seat”, a murderously powerful first-person account of execution by electric chair that progresses from the sinister to the sublime. The episode comes to a show-stopping end with the title track from their recent worldwide chart-topping release; as Cave sings the lyric “Some people say it's just rock 'n roll, ah, but it gets you right down to your soul”, the Austin crowd is rapt under his spell and ready to preach the gospel of Nick Cave. The complete lineup for the full 13-week season, including new episodes to air beginning January 2015, will be announced at a later date. Check the news section of acltv.com for additional episode updates. Legendary singer Paul Rodgers is set to be featured on the new season of Public Television's Front and Center beginning in mid-November (check local listings). 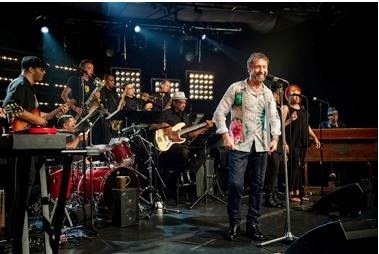 Filmed on June 23, at the iHeartRadio Theater in New York City, this hour long special features Rodgers –along with the all-star Memphis studio musicians that recorded The Royal Sessions at Memphis’ storied Royal Studios–performing classic soul and R&B songs released in February to critical and fan acclaim. Additionally, Rodgers and The Royal Sessions have been accepted for consideration in numerous GRAMMY categories including: Rock Performance (“Born Under a Bad Sign”), Record of the Year (“I can’t Stand the Rain”), Traditional R&B (“I Can’t Stand the Rain” and “I’ve Been Loving You Too Long”), American Roots Performance (“I thank You”), Album of the Year (The Royal Sessions), Americana Album (The Royal Sessions), Package (The Royal Sessions), Album Notes (The Royal Sessions), Engineer/Album of the Year (William Whittman for The Royal Sessions) and Producer of the Year (Perry Margouleff for The Royal Sessions). Onstage at Front and Center, Paul is accompanied by The Royal Sessions musicians: Reverend Charles Hodges Sr. (Hammond B3), Leroy Hodges Jr. (bass), Archie “Hubby” Turner (Wurlitzer), Michael Toles (guitar), Steve Potts (drums). Additionally, Rodgers was joined by The Royal Singers, three soulful, gospel-rooted vocalists, including Shontelle Norman, Sharisse Norman and Stefanie Bolton, and The Memphis Horns, a multigenerational mix of Memphis’ best blowers, including Marc Franklin (trumpet), James L. Spake (baritone sax), Gary Topper (tenor sax), and Lannie “The Party” McMillan Jr. (tenor sax). After more than 300 million album sales, the current rediscovery of the hugely successful and influential Genesis continues with the DVD and Blu-ray release of an official career-spanning documentary Sum of the Parts which will be released on January 13, 2015 on Eagle Vision. Featuring contributions from key members past and present Tony Banks, Phil Collins, Peter Gabriel, Steve Hackett, Mike Rutherford and Anthony Phillips, as well as a wealth of archive performance footage of the band’s biggest tracks and fan favorites, this first official study of the band’s history commences with their formation at Charterhouse in 1967 and reunites the band for the first time in many years. Produced by Eagle Rock Film Productions and directed by John Edginton, the film recounts an extraordinary musical story, exploring the band’s song writing as well as emotional highs and lows, alongside previously unseen archive material and rare performance footage from across their entire career. 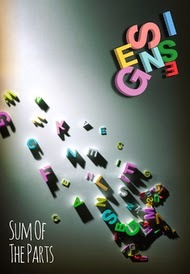 Sum of the Parts explores the dynamic between the band members that have enabled them to survive numerous line-up changes alongside solo careers outside of the band. The remarkable story encompasses their visionary influence as the leading lights of progressive rock with landmark albums such as Foxtrot, Selling England By ThePound and The Lamb Lies Down On Broadway; the huge crossover success of the Eighties and Nineties which saw them hit the upper reaches of the singles charts with era-defining hits such as “Turn It On Again,” “Invisible Touch,” “No Son of Mine,” and “I Can’t Dance”; and through to their 2007 Turn It On Again comeback tour which included a show in front of 500,000 people at Rome’s Circo Massimo. Sum of the Parts contains the BBC’s Together and Apart documentary, which aired on October 4. It adds more than 30 minutes of previously unseen footage, and represents the perfect DVD and Blu-ray companion to the 3CD anthology R-Kive which was released by Warner Music Group / Rhino on September 30. In terms of what they’ve done together, and what they’ve done apart, there’s never been a band like Genesis. It’s a captivating story, told here from the beginning for the first time. 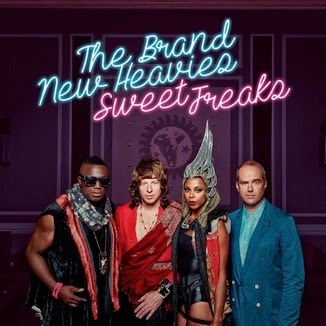 London-based Acid Jazz innovators and expert purveyors of funky grooves and incredibly soulful harmonies, The Brand New Heavies are releasing their new studio album Sweet Freaks on Nov. 24, 2014. The eleven tracks featured on the quartet’s tenth studio album Sweet Freaks is full of the band’s signature irresistible grooves, well thought-out melodies and as much lively energy and enthusiasm as on any of their highly successful early outings. The band’s electrifying new vocalist, Jersey born Dawn Joseph originally debuted on 2013’sForward (sharing vocal duties with the band’s then lead singer N’Dea Davenport). Now as lead vocalist, Joseph has come into her own in a big way, as evidenced on tracks like “In the Name of Love”, “Self Portrait” or “Get On,” which showcase her self-assured, powerful and also immensely versatile voice. The album’s title song “Sweet Freeek” makes clear what the album is all about: melodies that get stuck in your head for days. The album doesn’t lose any of the band’s trademark sound but spikes it up with fresh, crispy grooves. Roger Hodgson, legendary vocalist and singer-songwriter from Supertramp, is heading back to North America for a series of fall dates. Following extensive tours of Europe and Brazil, Hodgson kicks off his North America tour on November 4 in Wabash, Indiana. Hodgson, one of the most gifted composers and lyricists of our time, co-founded the progressive rock band Supertramp in 1969. Roger was the driving force behind what fans call the "golden years" of the band that made Supertramp a worldwide phenomenon with album sales in excess of 60 million. He wrote, sang, and arranged the enduring rock standards such as "Breakfast in America," "Give a Little Bit," "Take the Long Way Home," "The Logical Song," "Dreamer," "It's Raining Again," "School," and "Fool's Overture." Accompanied by a four-piece band, Roger Hodgson continues to perform all his hits he wrote and later recorded with Supertramp plus other classics of his such as "Child of Vision," "Hide in Your Shell," "Sister Moonshine," and "Even in the Quietest Moments," plus favorites from his solo albums - "Only Because of You," "Lovers in the Wind," and "In Jeopardy" - many of which can be found on his current CD release, Classics Live. Uniting generations, Hodgson is transporting baby boomers back to their youth while giving younger concertgoers a taste of why his heartfelt songs have endured. In fact, this year marks the 40th Anniversary of "Crime of the Century," released in September 1974 (see press release below). Hodgson's song, "Dreamer," became Supertramp's first international runaway hit, driving the album to the top of the charts. "School," "Hide in Your Shell," and "If Everyone Was Listening" are also fan favorites from the album that Hodgson wrote and composed and often plays in concert. Roger's shows give North American audiences the opportunity to once again experience the magic and spirit that Hodgson created with Supertramp. Check out his latest release, "Classics Live." This spectacular collection of Roger's hit songs from concerts recorded around the world on his 2010 tour is available through his Store and iTunes. Enjoy this video montage of Hodgson performing some of his timeless classics. For more information, visit the Tour page on Hodgson's Website or Events on his Facebook page. 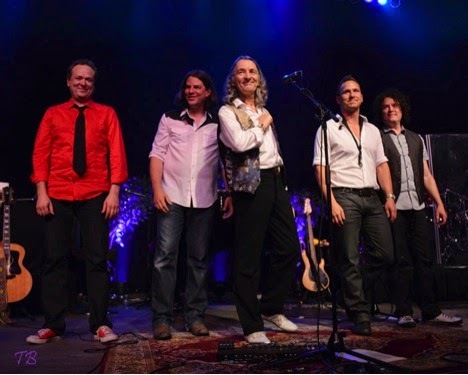 For additional information on Roger Hodgson, visit his Bio. Celebrating the 40th Anniversary since its release in 1974, Crime of the Century features the cream of Rick Davies' and Roger Hodgson's songwriting, and was the first of the many peaks in Supertramp's illustrious career; an album that had everything to prove and tunes that effortlessly straddled the world of pure pop and progressive rock. The significant change that happened with Supertramp on this album was that Hodgson and Davies had each found their strength as songwriters and were writing alone. With the unmistakable blend of the two songwriters – Davies' and Hodgson's work, it married the sweetness of Hodgson's Dreamer -- the band's first big hit single -- with the grit of Davies' similarly beloved Bloody Well Right. In School, Rudy, and the title track, the band – Davies, Hodgson, John Helliwell, Bob Siebenberg, and Dougie Thomson – helped define what would soon be known as Adult Oriented Rock. This was -- and is -- not just an album that showed Supertramp's increased maturity, but a timeless gem marked by the incredible melodies and thoughtful lyrics of Roger Hodgson and Rick Davies. This 40th Anniversary edition will be released December 9 in the US and contains the classic original album, remastered by Ray Staff at Air Studios, and a second disc features the band’s 1975 Hammersmith Odeon concert, mixed from the original tapes by original on-the-night engineer Ken Scott. It captures the band on the verge of stardom, showcasing all of Crime, and also previewing tracks from the then-as-yet-unreleased follow-up, Crisis? What Crisis? The LP eventually peaked at Number 4 on the UK charts and saw the band on the US Top 40 for the first time. Dreamer also became the band's first hit single. "I'm fortunate to have written songs that have become hits without ever trying to write one," Hodgson says. "I've never sat down and said 'OK I'm going to write a hit song.' Inspiration comes in many different ways. Usually it comes when I get out of the way losing myself in the sound of the instrument I am playing – it's almost like being in a meditative state. With Dreamer, the inspiration was born out of excitement and just erupted out of me." Hodgson continues, "Looking back, it was quite serendipitous that as a young songwriter with so many dreams I had my first hit with a song named Dreamer. It was certainly a thrill to hear it being played all over the radio. Creating our reality, I've since realised, often starts with our dreams." If Everyone Was Listening, another of Hodgson's philosophical musings, reaches back to Shakespeare's As You Like It adage ('All the world's a stage, and all the men are merely players') for allegorical inspiration. "It's all simply a play," says Hodgson, "The world is the stage for all of us, and the song is more about just becoming aware of what is really real in life. And it's a longing for love in a world that is falling apart." Hodgson added, "To this day it has always been my ambition as an artist to try to make the world a better place through my music ever since The Beatles inspired me by how they made such a difference in the world." Coldplay have today announced the 24 November release of a new concert film and live album, Ghost Stories Live 2014, on DVD/CD, and digital formats. The release is available to pre-order via Coldplay.com and iTunes now. An exclusive trailer can also be viewed at Coldplay.com. Filmed by Grammy-nominated director Paul Dugdale, the Ghost Stories Live 2014 film documents the band's unique performance of the Ghost Stories album to a small handful of fans in March 2014, two months prior to the album's release. Shot in a custom-built amphitheatre at Sony Studios, Los Angeles, the ground-breaking production sets the band's performance against stunning 360-degree and overhead imagery. Said Chris Martin: "The Ghost Stories show at Sony Studios was a very special moment for our band. The magic theatre built by our incredible crew with the 360 screens was literally a dream come true. And it was the first time anyone outside of our studio had heard the new songs. This film is basically our original vision for the Ghost Stories album." Parts of the performance were first broadcast in May 2014 as a Coldplay TV Special by major broadcasters around the world, including NBC in the US and Sky Arts in the UK (where the film has already been nominated for Best Live Coverage at this year's UK Music Video Awards). But Ghost Stories Live 2014 is the first time that the performance has been sequenced as originally conceived: a visual representation of the Ghost Stories album. The release also contains an exclusive Ghost Stories live album, with audio recorded at the band's rapturously-received shows in London, Sydney, Paris, Cologne, New York andLos Angeles between April and July 2014. The package is completed by eight music videos from the Ghost Stories era, including two never-before-seen films for B-sides All Your Friends and Ghost Story plus the exclusiveExtended Director's Cut of the Magic video (with a brand new cameo from Peter Fonda). 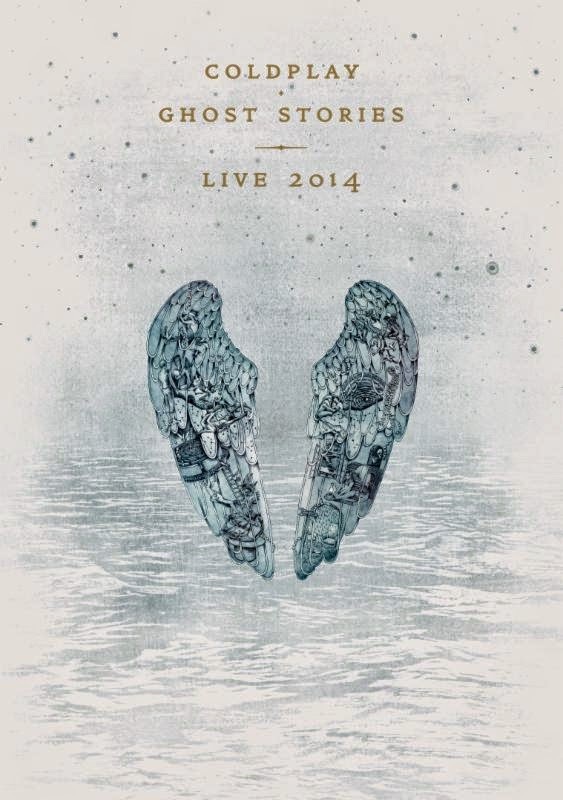 Ghost Stories Live 2014 is Coldplay's first DVD release since the Grammy-nominatedLive 2012 concert film. 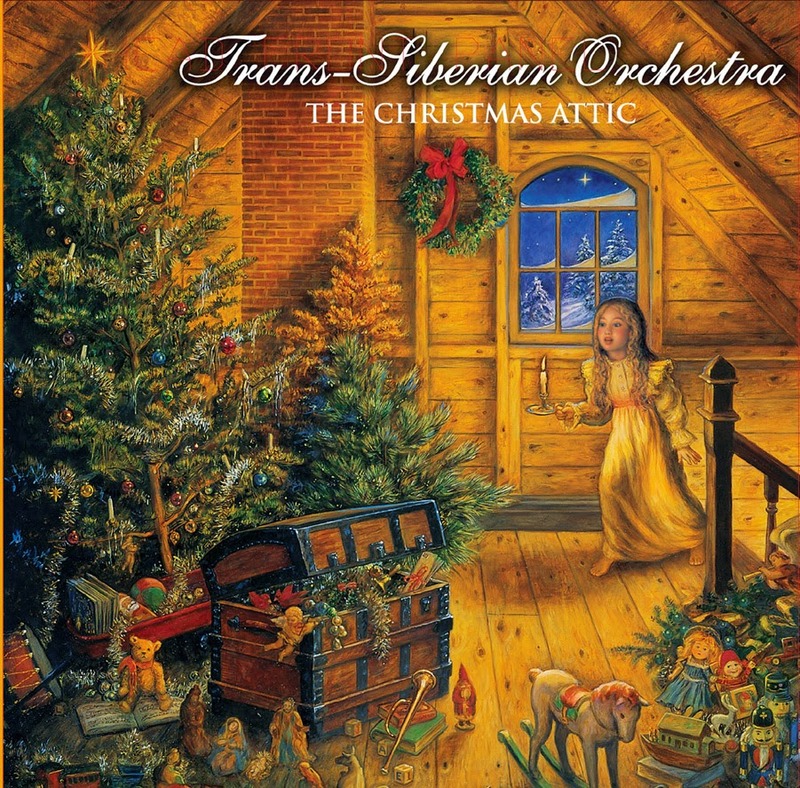 Audio Fidelity To Release Trans-Siberian Orchestra's “The Christmas Attic” on 2-LP Set! Camarillo, CA – Christmas arrives early this year with the release of Trans-Siberian Orchestra's rock opera “The Christmas Attic” on 2-LP Set by Marshall Blonstein's Audio Fidelity. Originally released in 1998, “The Christmas Attic” is the second installment of Trans-Siberian Orchestra's Christmas Trilogy. The story begins On Christmas Eve, when a young girl's curiosity leads her to a night of mischief and magic when she decides to sneak up into the attic of her parents' home while she should be asleep. This album contains a mix of vocal and instrumental songs. The track “Christmas Canon,” one of the TSO's most well-known songs, is a variation of Pachelbel's famous Canon in D Major, with lyrics and new music added as well as Boughs of Holly and a soulful rendition of Music Box Blues. “The Christmas Attic” is being made available on vinyl for the first time in a 2-LP set. The brilliantly remastered records are packaged in a seasonal gatefold jacket that includes a colorful 12-page booklet filled with the tale of The Christmas Attic as well as the lyrics to all the songs. With more than 9 million albums sold TSO has inspired generations of fans to rediscover the multi-dimensional art form of the rock opera. They've become one of the world's top acts and listed in Billboard magazine as one of the top touring artists of the past decade. Their $20 million-plus stage production has played to over 11 million people in 80+ cities across the globe. TSO will once again be touring during the 2014 and 2015 holiday season with “The Christmas Attic” show. Last year they welcomed-in the New Year in front of over one million German fans in a nationally televised show live from the Brandenberg Gate. 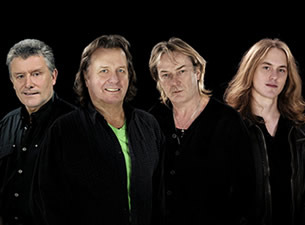 ASIA, from left, includes drummer Carl Palmer, singer-bassist John Wetton, keyboardist Geoff Downes and guitarist Sam Coulson. Just a last minute reminder that legendary rockers ASIA headline at The Coach House in San Juan Capistrano tonight, Oct. 16, 2014. The band is touring in support of their most recent album, the excellent Gravitas, which was released in March 2014. Singer John Wetton has truly never sounded better, and the group's artful and accessible songs continue to probe real life with emotional heft. Opening will be Orange County's own Union of Saints. The venue is located at 33157 Camino Capistrano, San Juan Capistrano. For more information, call (949) 496-8930 or visit the official Coach House Web site here. Featuring the cream of Rick Davies’ and Roger Hodgson’s songwriting, Crime Of The Century was the first of the many peaks in Supertramp’s illustrious career; an album that had everything to prove, full of tunes that effortlessly straddled the world of pure pop and progressive rock. The LP eventually peaked at Number 4 on the UK charts and saw the band for the first time on the US Top 40. It was the music and the album’s cinematic sonic qualities that accounted for its impact. 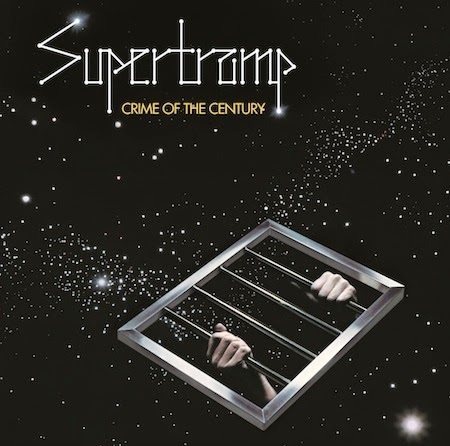 Crime Of The Century is not only one of Supertramp’s greatest works, but one of the most highly regarded recordings of 70s rock music. Released in 1974, it put the band on the map after three years of struggle. With the unmistakable blend of the two songwriters – Davies and Hodgson’s – work, it married the sweetness of Hodgson’s ‘Dreamer’ – the band's first big hit single – with the grit of Davies’ similarly beloved ‘Bloody Well Right.’ In ‘School,’ ‘Rudy’ and the title track, the band – Davies, Hodgson, John Helliwell, Bob Siebenberg, and Dougie Thomson – helped define what would soon be known as ‘Adult Oriented Rock.’ This was – and is – not just an album that showed Supertramp's increased maturity, but a timeless gem, crammed with incredible melodies and thoughtful lyrics. This 40th Anniversary edition contains the classic original album, remastered by Ray Staff at Air Studios, and a second disc features their 1975 Hammersmith Odeon concert, mixed from the original tapes by original on-the-night engineer Ken Scott, capturing the band on the verge of stardom, showcasing all of Crime, and also previewing tracks from the then-as-yet-unreleased follow-up, Crisis? What Crisis? The 2-CD package comes with a 24-page booklet of photographs, and a new essay written by Phil Alexander, Editor-in-Chief of Mojo Magazine, containing new interviews with Dougie Thomson, John Helliwell, Ken Scott, Bob Siebenberg, Roger Hodgson, and 1973-1983 Supertramp manager Dave Margereson. Crime Of The Century is also available in 3LP and digital formats. The heavyweight vinyl set in a beautiful box set, cut by Ray Staff at Air Studios, featuring all the material of the two CDs across three 180gm LPs, with an eight-page album-sized booklet with a longer version of Alexander’s essay, and two 10x8 prints. Crime Of The Century was produced by Ken Scott (The Beatles’ ‘White Album’, David Bowie's The Rise And Fall Of Ziggy Stardust And The Spiders From Mars). His engineering prowess merited a Grammy nomination and became one of the ‘go to’ albums for Hi-Fi demonstrations alongside Pink Floyd's Dark Side Of The Moon. Enjoy again the sonic excellence and musical and lyrical sophistication of this well-loved band on this timely celebration of one of Crime Of The Century, one of their landmark recordings. 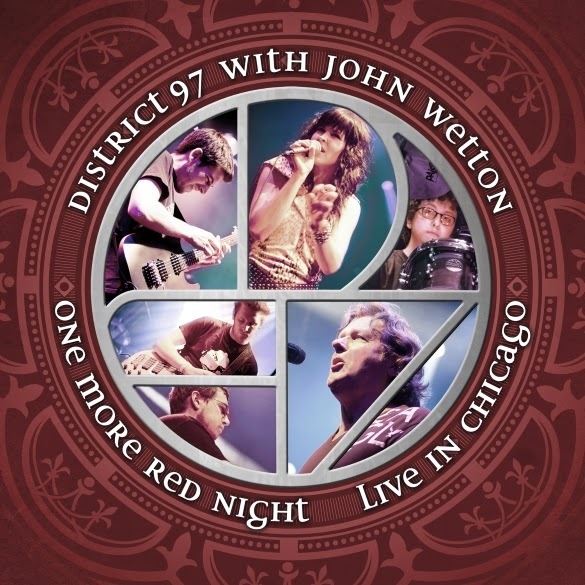 District 97 Featuring Legendary King Crimson/Asia Vocalist John Wetton Release One More Red Night: Live In Chicago CD – OUT NOW! London, UK – Prog fans rejoice! A new live CD capturing a set of King Crimson songs performed by District 97 and former King Crimson lead singer John Wetton has been released on Primary Purpose via Cherry Red Records. 'One More Red Night: Live In Chicago' includes three songs from the iconic landmark album 'Red’; which inspired many musicians including Kurt Cobain. This CD also captures several other well-known songs from the three King Crimson studio albums John Wetton played and sang on, plus their earlier hit “21st Century Schizoid Man”. This is the first release of this recording and features many tracks which are now rarely heard live. “I've said it before, and I maintain that D97 is the best young progressive band around right now. Gifted players, great material, and a brilliant, charismatic singer in Leslie Hunt. Their shows are an exciting pleasure to attend, and I am proud to work, and be associated with them.” - John Wetton, Annapolis, October 1,2014. Three-time Grammy award-winning singer, songwriter, guitarist and contemporary blues artist, Keb’ Mo’ will release his 12th studio album, BLUESAmericana, on vinyl Nov. 11, 2014. The vinyl package will be available through www.KebMo.com, Amazon, select retail and independent record stores, and will include a poster and an album download card with an exclusive instrumental bonus track that was not included on the CD. 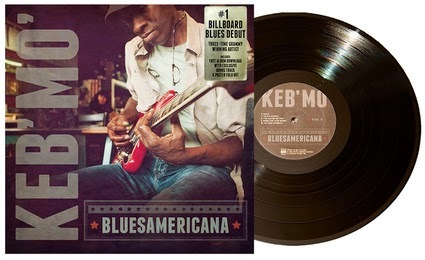 Fans can pre-order BLUESAmericana vinyl special packages now exclusively through Keb’ Mo’s official website, www.KebMo.com. TheBLUESAmericana bundles are offered in three options, including a very limited amount of autographed and numbered LP’s. All bundles include a complimentary Keb’ Mo’ Spirit of the Holidays EP. The pre-order packages range from $20-$35. Since it’s initial release through Kind of Blue Music on April 22, theBLUESAmericana album has remained in the Top 5 on the Soundscan Blues Album chart for 5 months, with 6 weeks in the #1 position. It will be one of the top-selling blues albums of 2014. Recorded in Nashville, and produced by Keb’ Mo’ and Casey Wasner, the album features ten tracks, nine of which were co-written by Keb’, and has been described as having a mix of personal, raw honesty blended with folksy, upbeat roots rock-type material that is distinctly Keb’ Mo’. "I only make albums when I'm inspired to, and these 10 songs come from a very honest place," says Keb'. Over the past two decades, Keb’ has cultivated a reputation as a modern master of American roots music through the understated excellence of his live and studio performances. B.B. King, Buddy Guy, the Dixie Chicks, Joe Cocker, Robert Palmer and Tom Jones have all recorded his songs. His guitar playing has inspired leading instrument makers Gibson Brands to issue the Keb’ Mo’ Signature Bluesmaster acoustic guitar and Martin Guitars to issue the HD-28KM Keb’ Mo’ Limited Edition Signature model. He’s collaborated with a host of artists including Bonnie Raitt, Jackson Brown, Cassandra Wilson, Buddy Guy, Amy Grant, Solomon Burke, Little Milton and many others. Keb’ also wrote and performs the theme song for the smash sit-com, Mike & Mollyand was music composer for TV’s Memphis Beat. He has also been featured in TV and film, playing Robert Johnson in the 1998 documentary “Can’t You Hear The Wind Howl,” appeared three times on the television series, “Touched By an Angel,” and was the ghostly bluesman Possum in John Sayles’ 2007 movie, “Honeydripper.” Most recently, Keb joined the Playing For Change movement, which was created to inspire, connect and bring peace to the world through music. Keb’ is featured on thePlaying For Change album: Playing for Change 3: Songs Around the World, which was released June 17, and features over 180 musicians from 31 countries, including Keith Richards, Sara Bareilles, David Hidalgo, Cesar Rosas, Taj Mahal and many others. For more information on Keb’ Mo’ or to view a list of upcoming tour dates, please visit http://www.kebmo.com/ and follow him on Twitter, Facebook and Instagram.